In a tweet, Google noted that some sites could gain or lose rankings as a result of the change. One iQuanti client site saw a ranking drop of about 15%, while another saw an increase of about 60%. 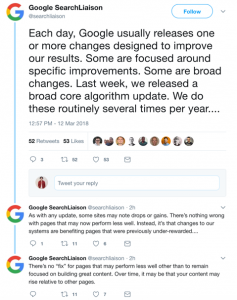 Google posted on Twitter that it does these types of updates “several times per year” and there is nothing a site can do specifically to “fix” its ranking after the core update runs. “Some sites may note drops or gains,” Google explained. Given these limitations, how can you adjust your pages to account for Google’s latest algorithm change? First, address any site maintenance issues: Missing titles, descriptions, header tags, and things of that nature. Our advice to clients is to prioritize technical factors because they are the easiest thing to be penalized for by Google. 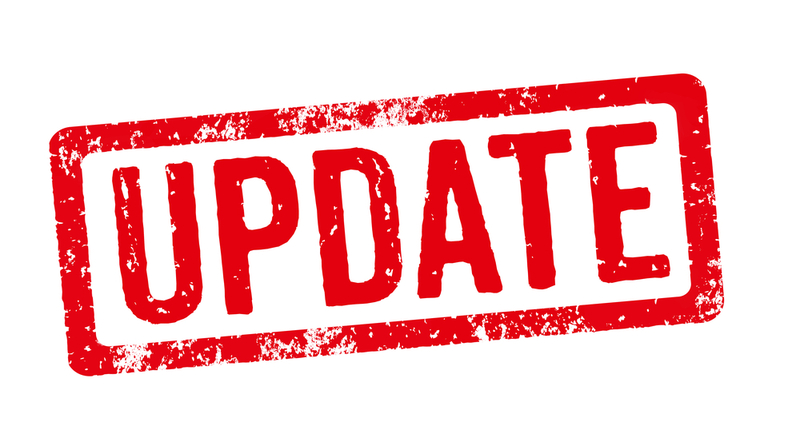 Keep in mind, as well, that some algorithm updates can severely hurt your rankings and may require a lot of effort to come back from. Getting technical SEO right – and developing great page content – is the way forward.